Market 240: Sprint 750B 08689 on wires! Update February 3 2016: This car has come back on the eBay market out of New York. 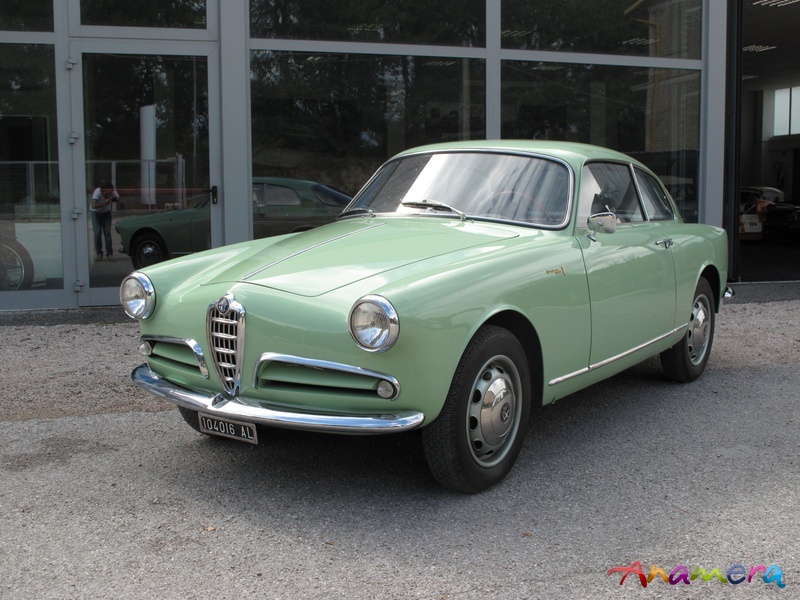 It’s sold as a car with one owner for over 30 years – but I think that can be said for many many Giuliettas that come on the market – even mine! Interesting counterpoint to the Sprint out of Mexico I wrote about yesterday. Bravo on a nice picture. I like the new yellow headlamps. I’m still at odds with the wire wheels. We’ll see how much value the clover leaf stickers and headlamps add. Update January 12 2012: I have it on good word that this car has been sold. Update January 7 2012: The time they are a changin’ for our favorite little coupe. Just 18 months ago this 750B Sprint 08689 struggled to reach $25,000 on eBay, and now, today it is listed for $64,500 by Fantasy Junction with a big ‘Sale Pending’ sign under it. It looks amazing in the photos, and with a two liter engine should be a blast to drive, but this price for an Abnormale? I guess. A little wide in the stance with these wire wheels. Attention to detail is impressive, as is the coat of shine. 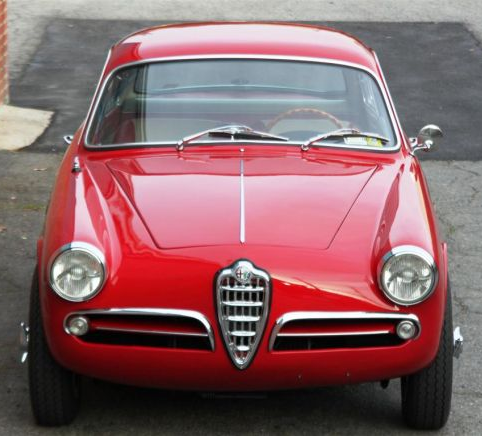 Giulietta Sprint 750B 1493*06376. This car is available on eBay out of Oak Lawn Illinois. It is about as far apart as a Sprint can get and lacks an engine. Body has rust. Not terrible, but not trivial either. If this was in my neighborhood I’d be tempted by it -being a sucker for hard luck cases and all, and wanting a Series 1 750B quite a bit. 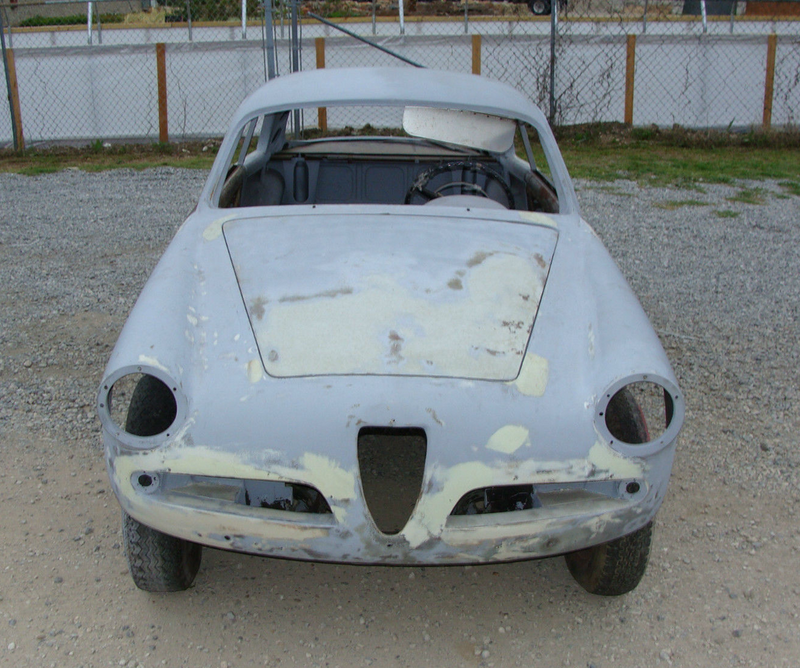 A reader has 2 complete 1959 750B engines for sale in California at $5K each if you are considering this. This has the little grill bar trims. Nose is pretty straight. Looks to have some corrosion in the lower edge. If it was local I’d go have a look for sure. Looks to have been well used, but left too long in the rain. Should have the short windshield? 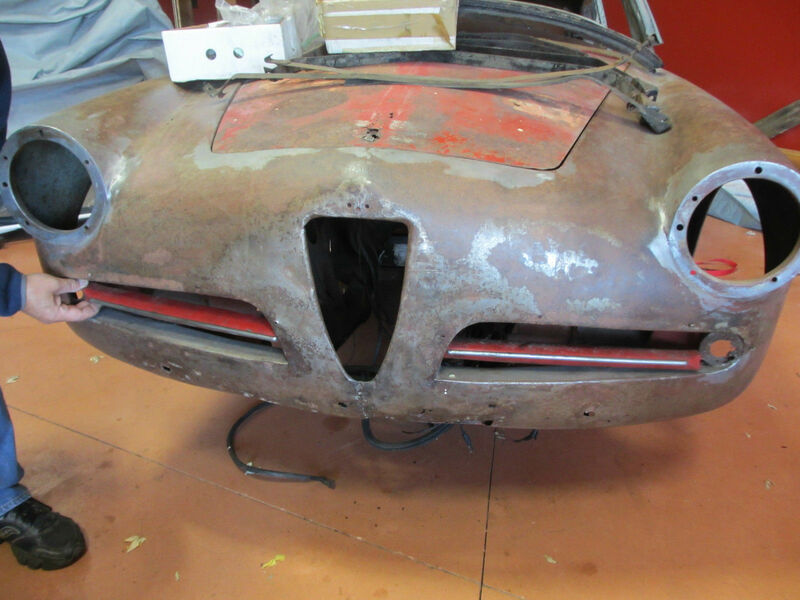 Giulietta 750B 1493*00977, 1315*01023, Body 65970. Yesterday I was really excited about Sprint 00656, today I am, if possible, more excited about Sprint 00977 available form the same seller. I’m more of a green guy than a red guy, and this car just looks right to me. I realize it probably has some originality deficiencies that someone with more authority than me will point out, but thats okay, I’d take it just as it is. I have seen 3 sub-1000 Sprints come on the market in the last few weeks, must be a virus that’s going around. Anyone near enough to go verify the body number and give us a test drive or in-person review? That is a great car in a great color. I wonder how original it was before the restoration? Looks to have rolled lip rims still. Even has the neat little turn signal lights and jack point covers. 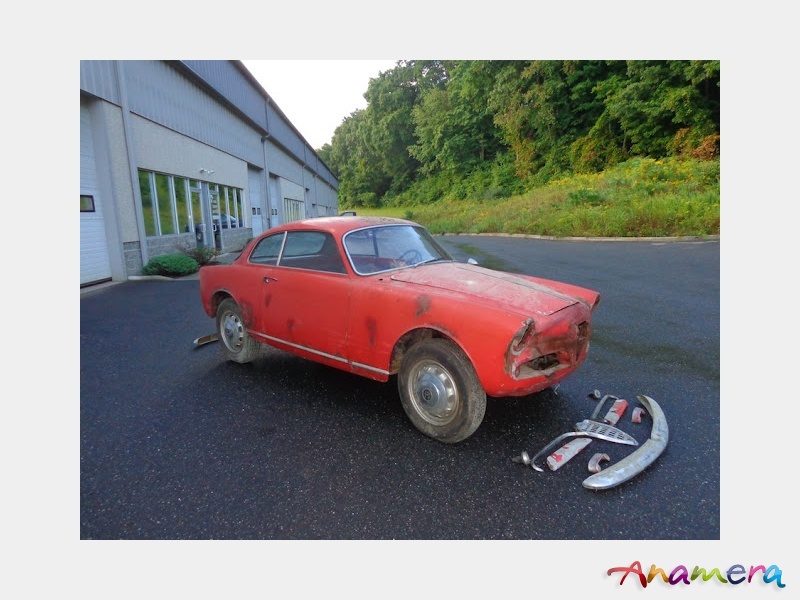 Giulietta Sprint 750B 1493*00656, 1315*00648, Body 65650. Available now out of Italy from Aquarama boats and cars. Their site is under construction, I found it on Anamera. This is one of the neatest (in my opinion) cars I’ve had the pleasure to write about in a long time. If circumstances were different I’d be emailing Italy all excited, ready to hop on a plane. Early Sprints seldom come up for sale, and when they do, they tend to be in a pretty rough state. This car looks ready to go. Update October 1 2015: Available now from Joop Stolze. 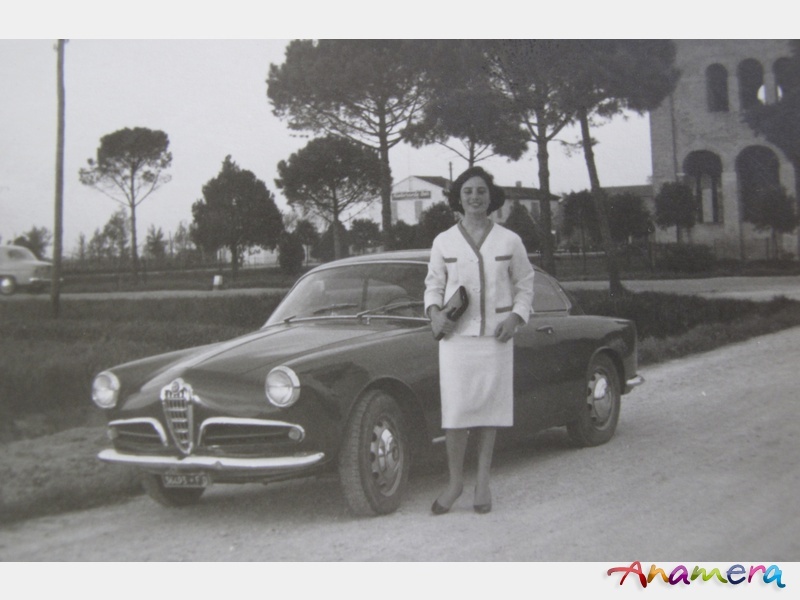 Giulietta Sprint 750B 493*06395, 1315*05812 & 00112*15344. This car appears to be offered by ReOriginal’s on eBay out of Livingston TX. Car is very much where the project I am currently working on is -lots to do! Paint is 10 years old but shines, interior work looks pretty good and it comes with an extra engine. No mention is made whether all the trim etc comes with the car. This is a rare car in that it’s one of the last 750B Normale’s -the last 200 750 ‘eyebrow’ grill Sprints were Veloce’s. 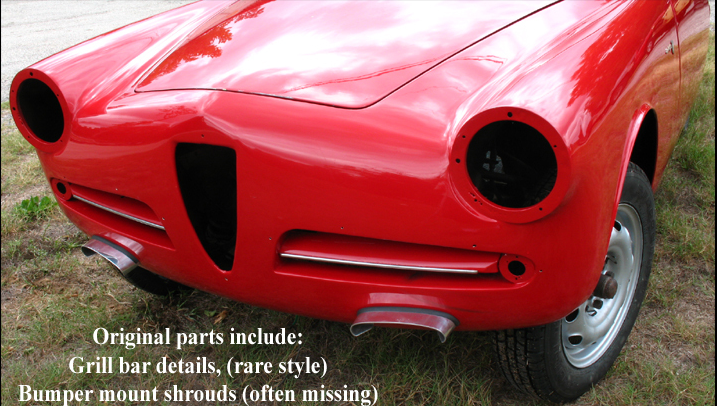 But do the original parts include bumper, ‘eyebrow’ grills, headlights with rings, hood center strip and front center grill? Looks pretty nice here. You can buy those bumper bracket trim bits new from several vendors.